The Grappler vs Buck Robley in a good match! Buddy Landell has an impressive showing as he takes on the North American champion Ted Dibiase! Bob Roop vs Mr. Olympia with the Mississippi Heavyweight title on the line. Rick Hangman Harris & The Assassin vs JYD & Ernie Ladd. 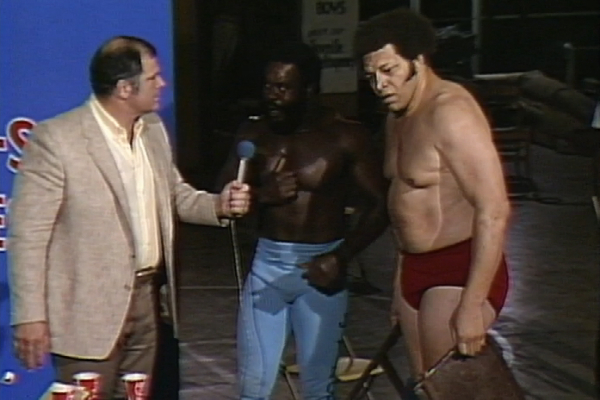 JYD & Ernie cut a promo after their match. All that and more on this week’s Mid South Television Review Show!